Asen Berbatov, the younger brother of star Bulgarian football player Dimitar Berbatov, has been released on a BGN 5 000 bail, after he was arrested for cocaine possession. The younger Berbatov shared the bail amount with his friend Nikolay Borisov, who was also arrested together with him, the Bulgarian news agency BTA reported Friday night. Asen Berbatov was detained Thursday night after police chased the car he was riding in, with Nikolay Borisov behind the wheel, on a road close to the southwestern city of Kyustendil. The police found a total of 22 grams of cocaine hidden inside a child seat in the car, Bulgarian Interior Minister Tsvetan Tsvetanov told reporters during a visit in Stara Zagora. The car is owned by Asen's wife, Dimitrichka, but she was not in it. Earlier, there were reports that the local prosecutor's office was not planning to request the permanent detention of the brother of the Fulham striker. According to Velichka Shopova, who heads the Regional Prosecutor's Office in the southwestern town of Dupnitsa, the argument for this decision is the fact the two have no criminal records. It is presumed that Berbatov has hired Borisov to drive over the pending pre-trial proceedings against him for driving without a license. Borisov tested positive for illegal drugs, but Asen's results were negative. 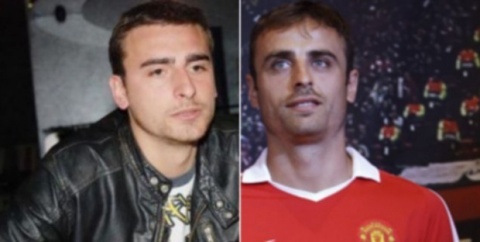 Berbatov's brother has gained infamous reputation over the last few years. In mid 2010 the Regional Prosecutor's Office in the southern Bulgarian city of Blagoevgrad probed Asen Berbatov for credit card draining. On April 22, the local police searched Berbatov's house and found the cash register, used as POS terminal, and evidence of some suspicious credit card payments.